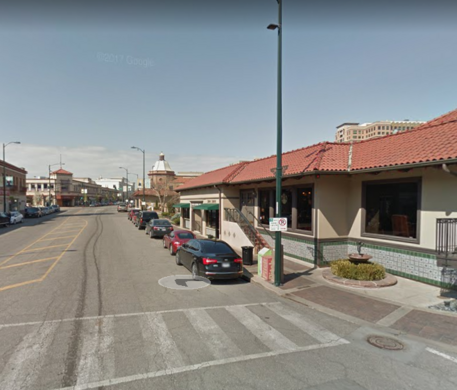 On a nondescript street corner in Kansas City, Missouri, just outside a Starbucks, you’ll come across a strange little fountain featuring a naked boy facing off against a relatively large frog. Though it appears the chubby child is gleefully peeing into the frog’s mouth, the amphibian is actually the one spitting the water. Crouching below the boy and his frog friend is a grumpy looking faun riding atop a dolphin who looks none too pleased to be stuck holding up the marble basin. 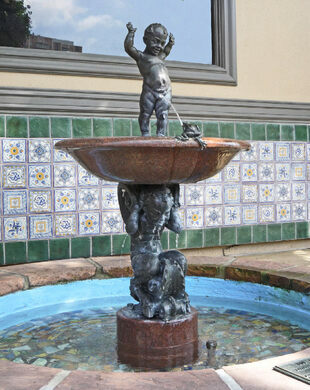 The small statue is a beloved fixture within the rather posh Country Club Plaza. 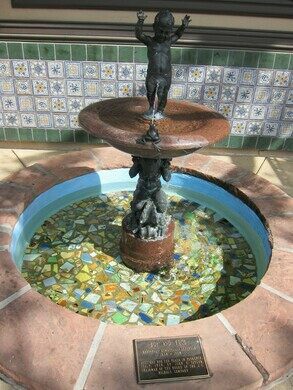 The amusing, quirky piece is considered by most to be the whimsical highlight of the collection of fountains scattered throughout the area. Some, however, are a bit disgruntled by what they consider to be the apparent inappropriate human-animal interaction. The odd artwork was purchased from Florence, Italy, where it was crafted by sculptor Rafello Romanelli. It was installed in 1929. Find it on the northwest corner of Nichols and Central.